Providing a setting for students to achieve has been our business since 1989. Our knowledgeable representatives consult with you to learn your teaching methods and the learning environment you would like to create. Our efforts are supported by the best classroom and school building furniture manufacturers. These manufacturers offer you quality, function and flexibility in all the products we supply. Most of all, we provide an understanding of how school buildings function and the best furniture for each application. Further, our on-line specification program allows us to organize your needs to insure your project, big or small, is tailored to your requirements. Since 1989, we have been the leader in service for educational furniture needs. 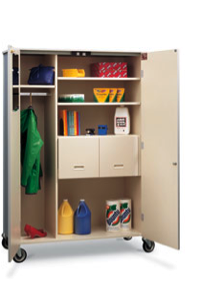 We are your resource for educational furniture and equipment. We provide furniture with quality, flexibility and long term value. Our on-line specification program allows us to organize your needs to insure your project, big or small, is tailored to your requirements. Contact us for assistance with furniture for your Classrooms to Cafeteria and all areas in between.